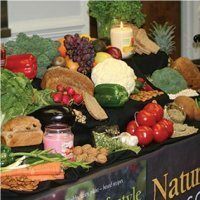 Learn the healthful benefits of a delicious plant-based diet plus exercise and WOW your family with delicious home-made breads and delighftul breakfast options. This course is structured with videos and printable handouts with the recipes, tips, and health info. Each lesson has a particular focus such as: quick filling hot breakfasts, home-made bread and includes an ACTIVITY for you to complete, and enjoy, using Teenie’s easy-to-make, delicious, recipes! When possible, include your family and friends in the lesson activities. Ernestine Finely has conducted cooking schools for more than forty years, demonstrated thousands of vegetarian dishes, and inspired audiences around the world with her practical, down-to-earth teaching style. She has the unique ability to make plant-based healthful dishes taste delicious and motivate attendees at Natural Lifestyle Cooking schools and classes to prepare tasty, healthy dishes for their families. She has converted her material to a two-part online course series, which is an accumulation of many of the recipes that have been taste-tested in her classes, by TV audiences and in the Finley’s family kitchen. Learn how to cook vegan in the comfort of your home with online cooking classes whether you’ve cooked before or are an expert cook. 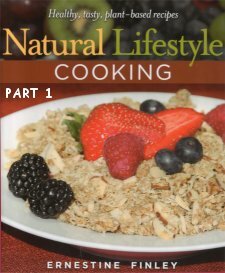 Some courses may change your thinking; this Natural Lifestyle Cooking two-part course series may change your life. Join Ernestine (Teenie) Finley for over four (4) Hours of riveting, home-style cooking and healthful instructional video presentations in this course! MAKE delicious plant-based meals for breakfast, supper, dessert and special occasions. Bread is the staff of life. 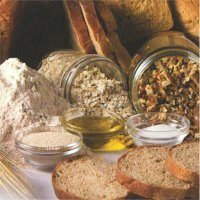 This lesson provides all the information you need to make your own nutritious homemade bread simply and efficiently. 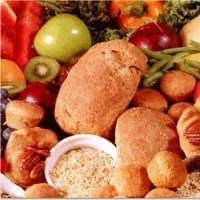 Whole-grain bread recipe included! “People who eat a well-balanced breakfast tend to have more nutritious diets than those who skip breakfast regularly.”-Registered Dietitian Liz Weiss. Careful planning is vitally important to achieve a well-balanced diet. 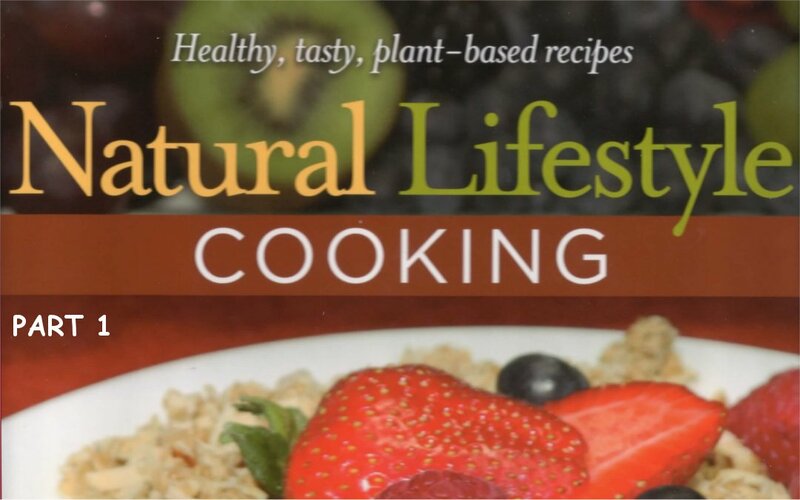 You will learn how to economically prepare nutritious, tasty well-balanced meals. In this lesson, Mrs. Finley reviews several reasons, including health and scientific data, for you to seriously consider choosing a plant-based diet.